I was reading through Psalm 78 a few nights ago and was humbled by this phrase that was scattered here and there throughout the sixty-something verses in that Psalms. I've had a rough few weeks--life happens though, right? And while I do not know why things are happening or why I'm at where I'm at, I have to rely on the fact that He has been good to me in the past; thus, He will be good to me in the present and future because His goodness never ends. So while I'm unsure about the future, a little frustrated, and overflowing with questions, I am choosing (and believing) that He is good. His goodness never ends. And despite the emptiness I encounter, I know goodness is here and on the horizon and I choose to live out this verse and rejoice. Even if it means I'm praying to God for trust and faith, too. What verses are you clinging to right now? What would you consider to be your life verse? All of Psalm 139. Grace and peace. Ooh, that's a good one! When I first started my read-through of Psalms, I was unsure that I would get a lot out of that book but it's definitely proving me wrong. I'm not quite at 139 yet, but I cannot wait to re-read it now. Thanks for sharing! this is a great reminder though, because when we are in the midst of the storm....it's easy to focus on the storm....instead of His goodness.. but ultimately that is what will get us through....constantly coming back to Him and meditating on who He is! Haha, loved your pun. Definitely not lame at all! And I love that analogy. It's definitely easy for me to stress about the storms in my life instead of His goodness and ability to actually get me through the storm. And like you said, there are storms that He calms and then there are times when He calms us instead. Such a good truth (and pin that I've seen and love!). Sorry life has been rough and overwhelming! But what wonderful words to cling to! I'm almost always hanging on to Psalm 121:1, I lift my eyes up to the mountains, where does my help come from? My help comes from the Lord, maker of Heaven and Earth. It's a good reminder to keep your eyes and your heart focused on God instead of getting bogged down with the madness happening in your life (even when it gets overwhelming!). Mmm....so good. Those verses are such a great reminder to turn to Him for comfort, hope, and help. Another blogger reminded me of the truth that we need to focus on Him and not the storms in our lives and I think that verse in Psalm 121 pretty much says the same thing. :) Thanks for sharing that verse! love verse 68--He built his sanctuary like the heights, like the earth that he established forever.-- so good! I have been clinging to Psalm 19:1- "The heavens declare the glory of God; the skies proclaim the work of his hands"
"And while I do not know why things are happening or why I'm at where I'm at, I have to rely on the fact that He has been good to me in the past; thus, He will be good to me in the present and future because His goodness never ends." I definitely needed this reminder tonight. Thanks for posting, friend. I've been looking for a job for the past six months and feeling very, very frustrated. I keep on being reminded on Isaiah 43:19. "New things will be happening"! It's hard but God is faithful to the very end and we need only to trust Him! O I love this. Great post. I've been clinging to these for the past few months: "I will take refuge in the shadow of Your wings until the disaster has passed." -Psalm 57:1b (+ pretty much all of 57) & "When I am afraid, I will trust in You." -Psalm 56:3. Love you, Kiki! He is, indeed, good! You are so right. His goodness never ends! Praise Him for that! And we should try to remember that in the difficult times. I agree! I never thought I would/could learn so much from that book, but I really am and have. It's been such a fun read for me. :) And I am so glad to have finally had the chance to link-up! I've been meaning to and wanting to but never got to because of the timing of my posts! Anyway, thanks for the link-up opportunity and I would most definitely love to co-host sometime! 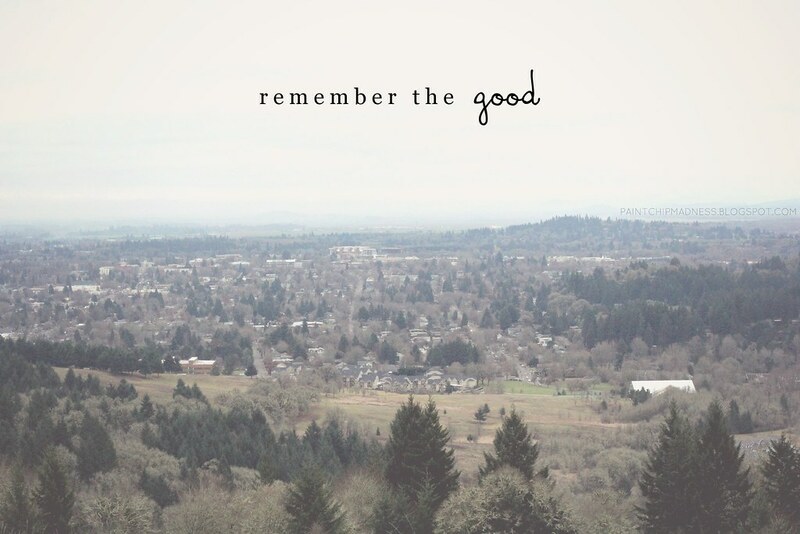 remember the good - HIS goodness - HIS faithfulness. amen. Mmm, so glad you can relate (and that "mmm" is not meant like the yum "mmm", but rather the uh-huh "mmm" if that makes any sense). 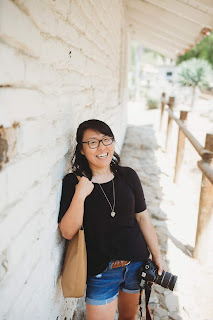 :) Isn't it crazy how blog posts don't really have expiration dates? I all too often find myself re-reading old posts and reminding myself of His goodness and His faithfulness, too. So amen to that!